Drone videos offer some awe-inspiring and amazing views that are usually reserved only for birds. One of my favorite things to do when it comes to drone videos is to travel the world by drone. From Asia to Amsterdam, check out these absolutely stunning sights brought to you courtesy of drone enthusiasts around the world. The expansive views of Iceland range from silent glacial inlets and rolling waves on rocky black shores to breathtaking canyons and icy waterfalls. This video shows the natural and unique beauty of Iceland in 4k. Stark, beautiful footage of the abandoned city of Pripyat in the dead of winter. This ghost town was originally full of life, but after the meltdown of the Chernobyl reactor in 1986 everyone was evacuated. So we see the life they left behind, from ferris wheels to indoor swimming pools. Crystal clear beaches, jutting stone cliffs, and lush volcanic peaks all captured in stunning 4k video. Islands simply cannot be any more perfect, and theses drone videos perfectly capture the raw landscape. The Kagoshima Islands truly amaze with beach waterfalls, rocky rivers, and rolling ocean waves. A quintessential Swiss town nestled in the countryside off the shores of Lake Geneva, and set against a backdrop of snow-capped mountains. Sailboats sit in the harbor on unbelievably blue water, an ancient castle rises atop a hill, and a train cuts through the land dotted by Swiss chalets and churches. This fantastic remote control drone pilot captured a world straight out of a story book. Watch this video to experience the seemingly endless wealth and magnificence of Dubai. A desert oasis on the sea, and Dubai’s state-of-the-art skyscrapers shine in the sunlight as a beacon of prosperity. Aerial views show the expanse and variety of this one-of-a-kind city and how it lights up the night. As the drone takes a close look at the Clarion Hotel in Toledo, it’s a small wonder this crumbling building is standing to begin with. Watch as it shadows the work crew as they prepare for demolition. The rig rises above the debris to film the final moments as the crew ultimately brings this building to the ground. This compilation video shows gorgeous 4k footage of various landscapes, structures, and even outdoor sports. From majestic old towers to mountaineers treading through snow-covered peaks, this video really captures the beauty of life from an elevated point of view that is a joy to experience. As viewed from the shore, the ocean is seemingly vast and endless. An aerial view provides considerably more depth and detail. This drone glides above the water filming two adults and a baby whale spin and flip in the endless aquamarine sea off the coast of Hawaii. It is quite the treat to observe these massive and magical animals. Amsterdam is known for its canals and boats. It hosted the SAIL festival where over 600 boats navigated through the North Sea Canal. This crystal clear drone footage shows the unique and colorful boats making their peaceful journey along the water, surrounded by bright green fields and farm land. This drone video captures the diverse nature of Thailand. Watch night parades through the markets, music festivals, boat rides, and sporting events. Enjoy views of golden Buddhist Wats, perfect beaches, and terraced fields on mountainsides. Thailand is full of life and beauty everywhere one looks. 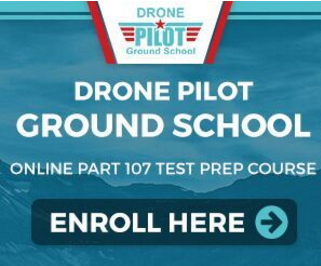 Alan Perlman founded UAV Coach, a drone pilot and sUAS industry training community, to help push the drone community and drone videos forward and to help new pilots break into the sUAS industry. Why nobody but two listed the drone they used, inlet carers is listed goPro all the time. I would like to know the drones used on every environment, that would help consumers choose the proper drone.